Our bodies have the capability to engage in some incredible feats of strength and activity. When we fail to take proper care of our bodies, however, we can cause irreparable injury and damage to our muscles and joints. Improper fitness and workout habits can make your body susceptible to strains, stiffness, dislocations, and arthritis. 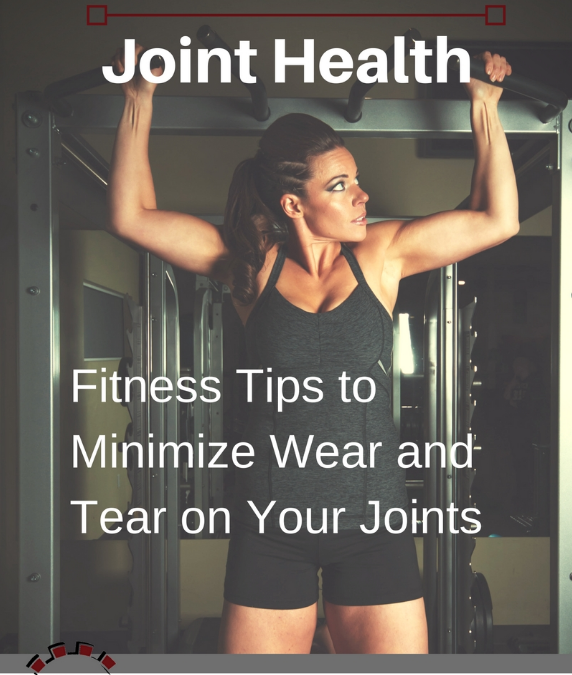 Take the following steps to minimize wear and tear to your joint health. When training and exercising, always maintain proper form, resist overexerting and overextending yourself, and wear the appropriate workout gear. It is also important to understand the environment around you. This means knowing which surfaces are beneficial and which can be harmful to your joints. Hard, even surfaces are best rather than bumpy, unsteady, or uneven surfaces. Proper warm-up methods can alleviate pressure on your joints. It is best to warm up all your major muscle groups prior to training and stretch properly after training to increase flexibility and protect your joint health. Remember that warm-up methods can improve or adversely harm your joints, so consider talking with a physical therapist or trainer to find the most appropriate exercises for your body. In order to take some of the strain of running off your joints, switch up your fitness routine and engage in different sports and exercises, such as swimming, cycling, treadmill walking, and rowing. Switching between low-impact and high-impact cardio exercises train both your muscles and your joints. Weight and strength training can also improve muscle mass, strength, and balance, as well as preserve bone density- all of which help remove pressure from your joints. Recognize the signs of overworked joints. Joint swelling can be a major cause for concern. Avoid strenuous and heavy-impact activities. When you do overexert your joints, seek the help of an orthopedic specialist. Failing to do so can lead to long-term joint pain, cause long-term structural imbalances, and lead to degeneration of the joints. Keep your balance in check and be aware of your posture and mobility. Poor posture and a more stagnant lifestyle can be harmful to your muscles and joints.